(a) Install the No. 2 ECM bracket to the ECM with the 2 screws. 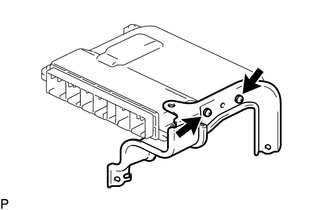 (a) Install the ECM bracket to the ECM with the 2 screws. 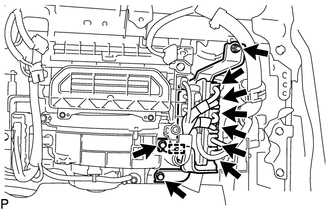 (a) Install the ECM to the instrument panel reinforcement assembly with the 2 bolts and nut. (b) Connect the 6 connectors. (a) Disengage the clamp to separate the wire harness. (b) Disconnect the 6 connectors. 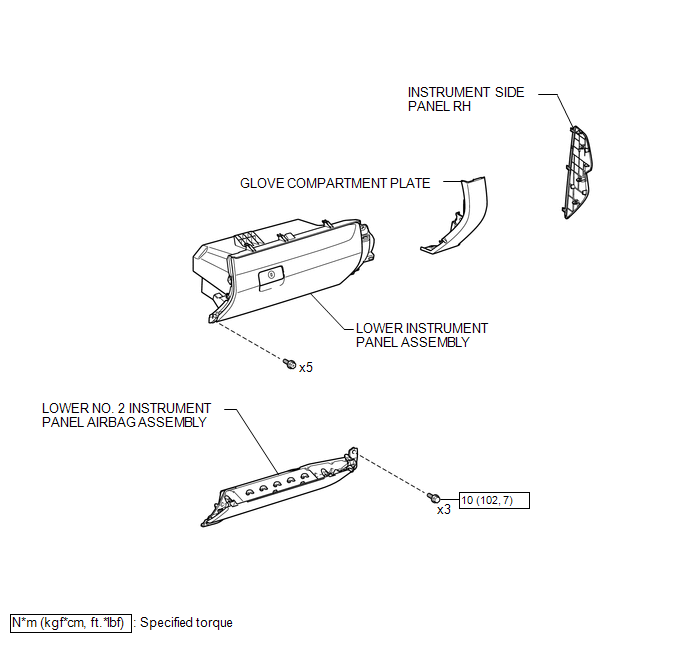 (c) Remove the 2 bolts, nut and ECM from the instrument panel reinforcement assembly. 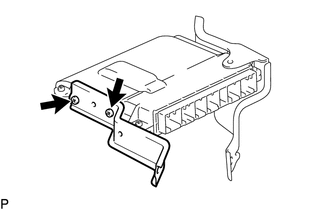 (a) Remove the 2 screws and ECM bracket from the ECM. (a) Remove the 2 screws and No. 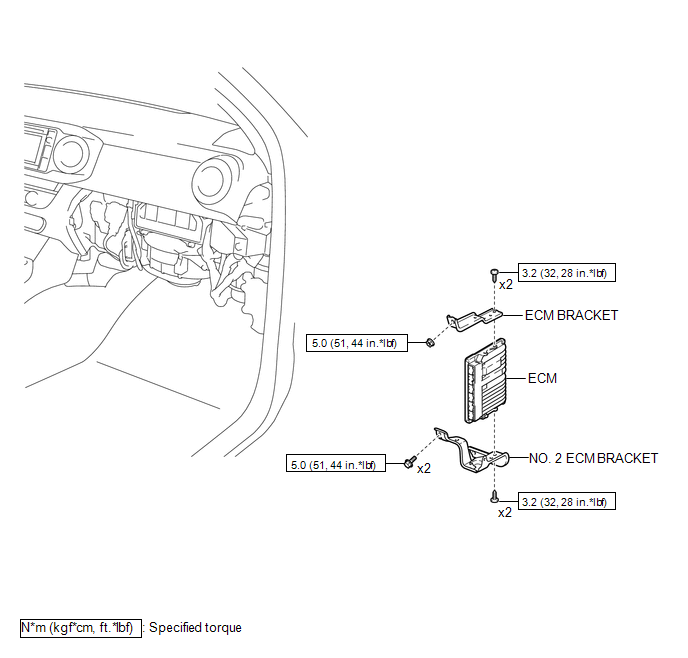 2 ECM bracket from the ECM.